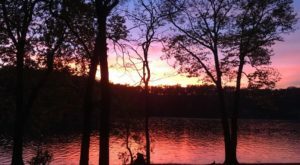 Most of us would probably agree that Missouri’s a pretty quirky (and that’s a good thing) state. 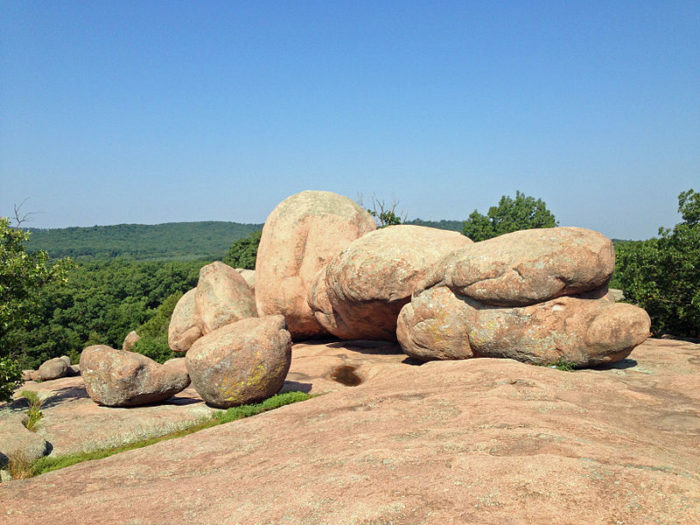 After all, we lay claim to the country’s largest fork, rocking chair, and chess piece. That’s just the beginning, too. 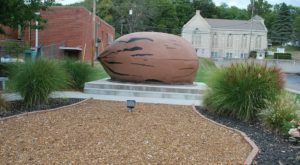 Today, we’ll hit the road on a quirky and fun road trip that will take us to some of the most unique roadside attractions in Missouri. Click here for the Google Maps directions for this road trip. Just plug in your address as the start address, and go! 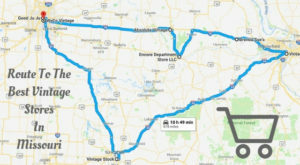 Map out your road trip! 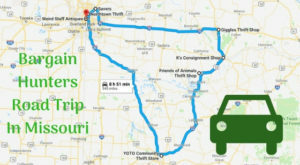 Our road trip to some of the quirkiest spots in Missouri will take us over 411 miles in just about 7.5 hours. 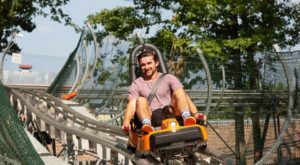 (Of course, that doesn't take into consideration the time you'll spend at each attraction.) Follow the road trip as it is, or customize it to your needs. Off we go! Remember when talking on the phone meant being stuck next to the wall unless, of course, we had a really long cord? Pay homage to the good ole days when you visit Jefferson Barracks Telephone Museum in St. Louis. 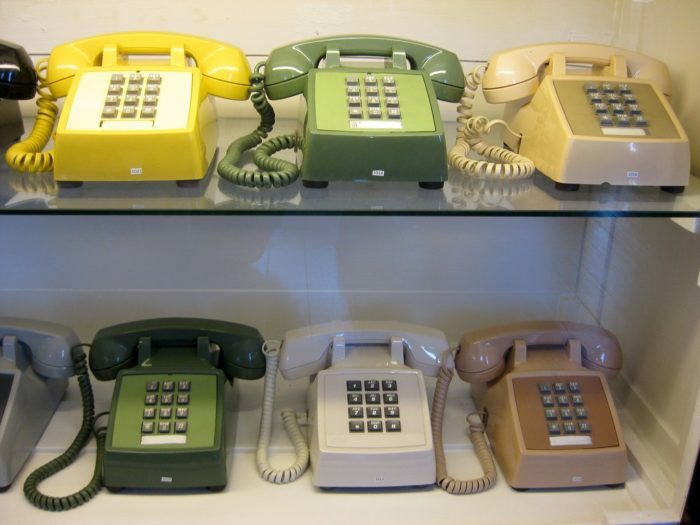 The interactive museum houses such exhibits as the automatic electric dial candlestick telephone and a retro Kermit the Frog phone from 1983. 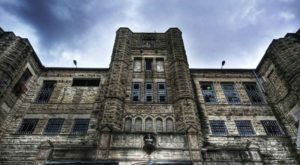 Plan to spend a minimum of an hour exploring the eclectic museum (and its many hands-on exhibits.) 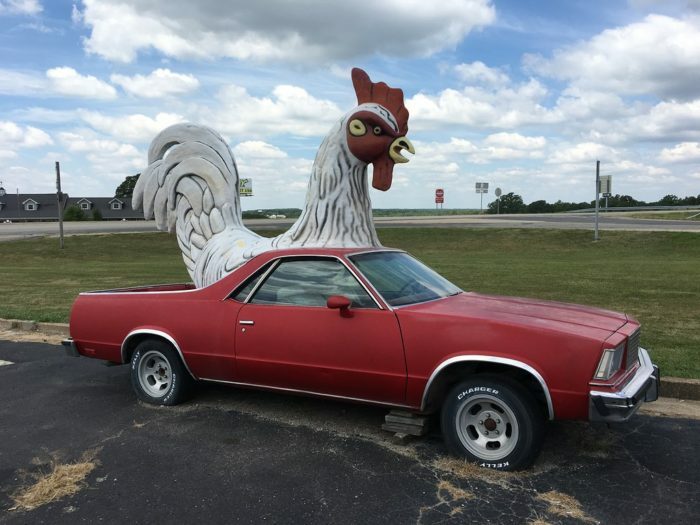 The Jefferson Barracks Telephone Museum welcomes visitors Wednesday through Sunday from 9 a.m. to 2 p.m.
Just look for the humongous chicken, sitting in a car on the side of the road, and you'll know you've arrived at the third stop on our road trip. Pull up a chair and treat yourself to an old-fashioned chicken dinner at Cookin' From Scratch. 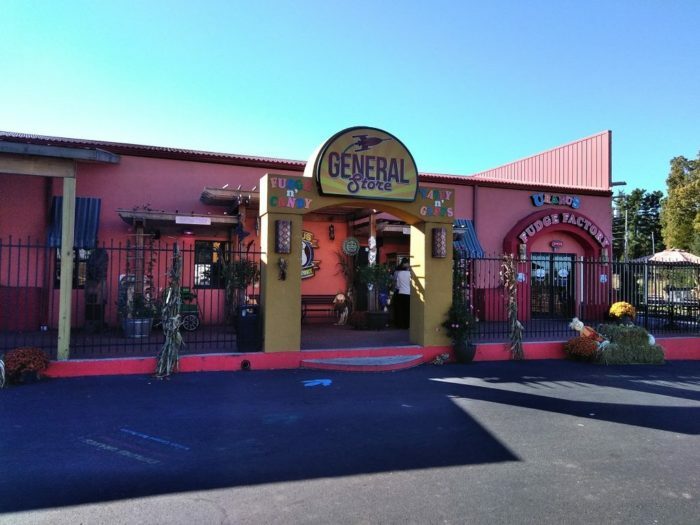 The menu boasts a host of favorite entrees, including roast beef, burgers, chicken fried chicken, and country fried steak. 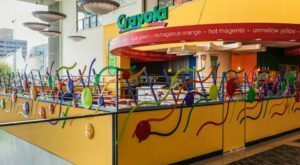 Cookin' From Scratch welcomes diners Monday through Thursday from 10:30 a.m. to 8 p.m., Friday and Saturday from 7 a.m. to 8 p.m., and Sunday from 7 a.m. to 4 p.m.
Craving fudge? 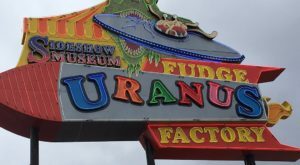 Well, you soon will be when you walk through the front door of Uranus Fudge Factory and General Store. Start your visit by watching the fudge packers as they pack fudge. (And, don't forget to try free samples when they're available.) Stock up on such delicious flavors as cookies and cream, orange sherbet, and peanut butter and jelly. Then, explore the rest of the store, where you can buy souvenirs to commemorate your visit. Okay, cheese lovers, this next stop is for you! 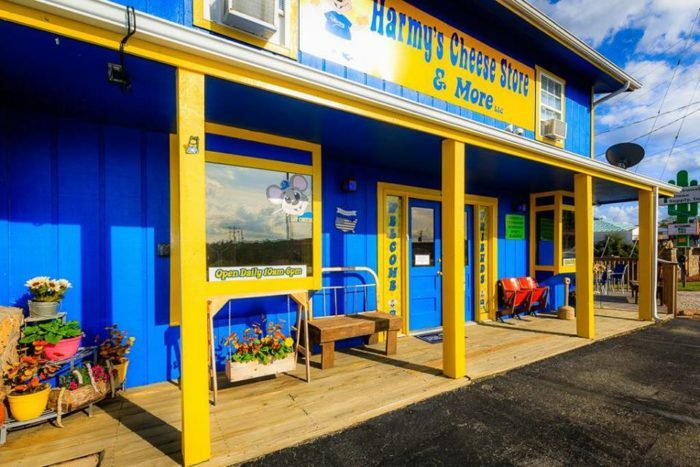 You can't miss the bright blue exterior of Harmy's Cheese Store & More - or the giant Harmy (the "World's Largest Mouse") on the side of the building, holding cheese. Once inside, discover more than 150 types of Wisconsin cheese. The shop also sells an assortment of souvenirs, honey, and fresh salsa. Harmy's Cheese Store and More is open daily from 10 a.m. to 5 p.m.
Our next stop takes us to the only pig museum in the United States. 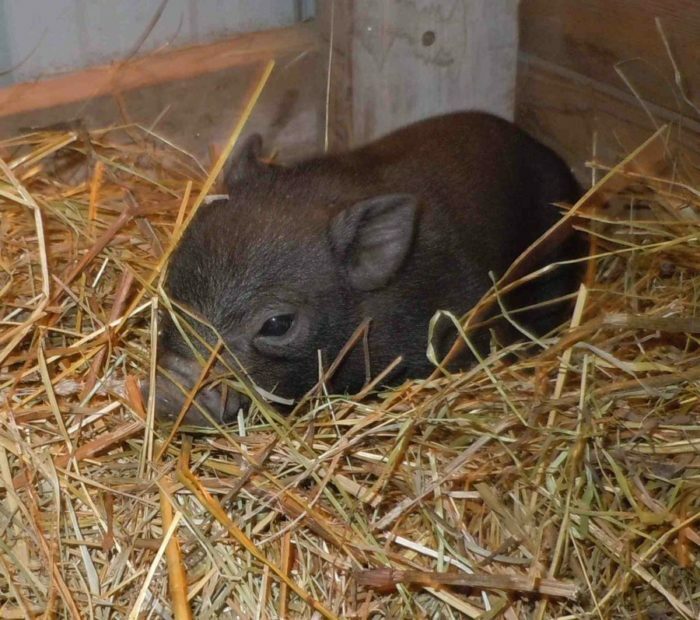 Where Pigs Fly Farm & Pigs Aloft Museum is home to nearly 500 rescue animals, including pigs (give 'em a belly rub! ), goats, and llamas. Visit with the animals outdoors (and maybe even give them a snack) before you head inside to the pig museum. The museum features a huge collection of pig memorabilia, figurines, and advertisements. In fact, the always growing museum only needs 10,000 more items to break a world's record. 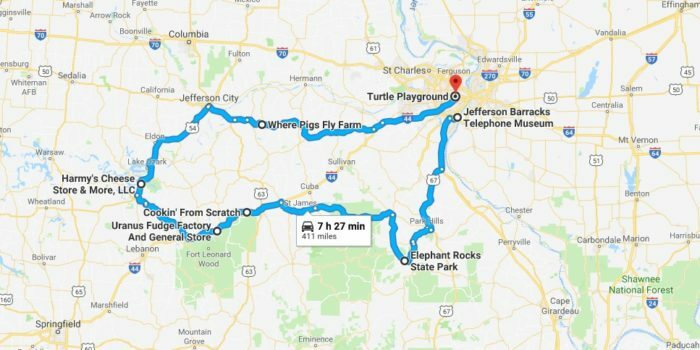 Where Pigs Fly Farm & Pigs Aloft Museum welcomes visitors Wednesday through Sunday from 11 a.m. to 6 p.m.
We return to St. Louis - and Turtle Playground - for our final stop. Watch the kids climb on the over-sized turtles. Or, pose for pictures with the concrete snapping, Mississippi map, and box turtles. And, keep an eye out for the popular red-eared slider, too. Turtle Playground also features over-sized turtle eggs and baby turtles. 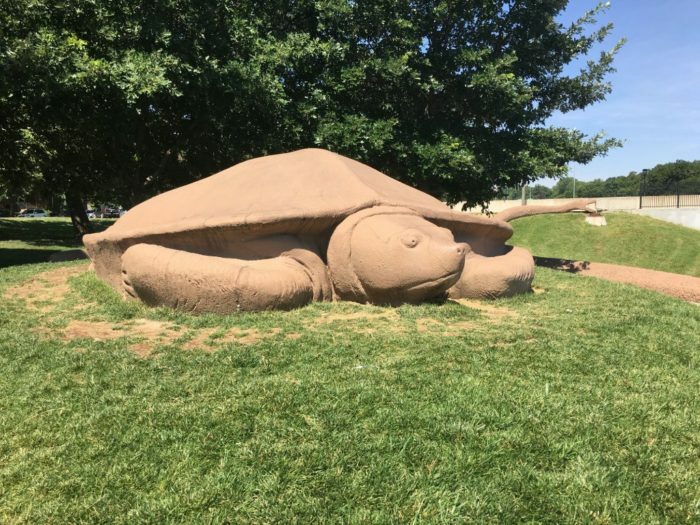 Explore Turtle Playground daily from 10 a.m. to 6 p.m.
What are some of your favorite roadside attractions in Missouri? Join the conversation in the comments! Or, perhaps you’re craving chocolate? Then, this road trip to some of the best old school chocolate shops is calling your name. Click here to read more.